EXCITING NEWS ABOUT THE PACE MINIS!! 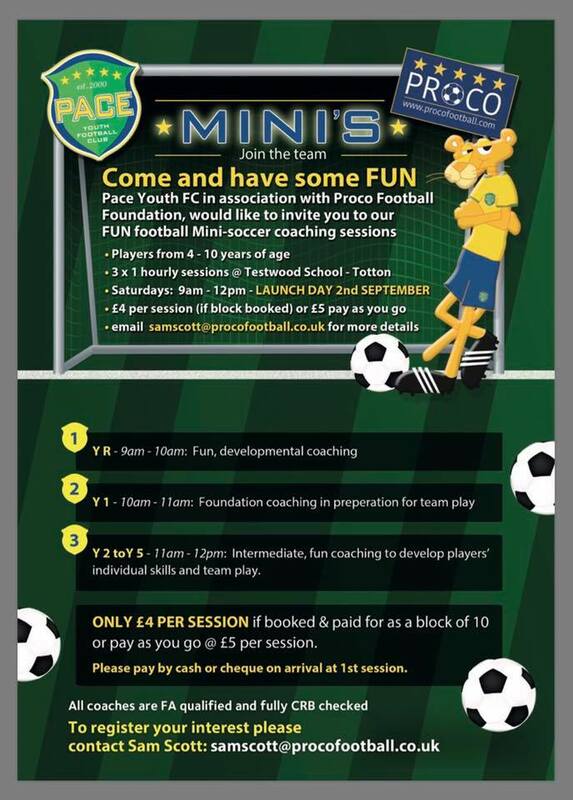 Pace have teamed up with PROCO Football Foundation to offer our minis sessions on a Saturday morning. Please see attached flyer for details and contact information. There will be 3 sessions through the morning offering opportunity for children aged between 4 and 10 to have fun and development through playing football. Our launch day is Saturday 2nd September. This entry was posted in Pace Minis. Bookmark the permalink.